The building sits confidently in the landscape, jutting out like a ship in a sea of green. 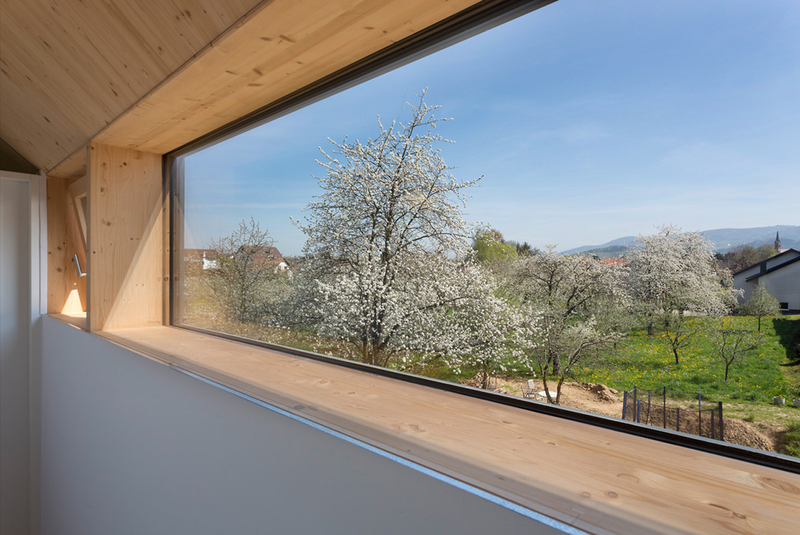 It allows the landscape to flow uninterrupted beneath it, elevating living spaces into the blossoms. 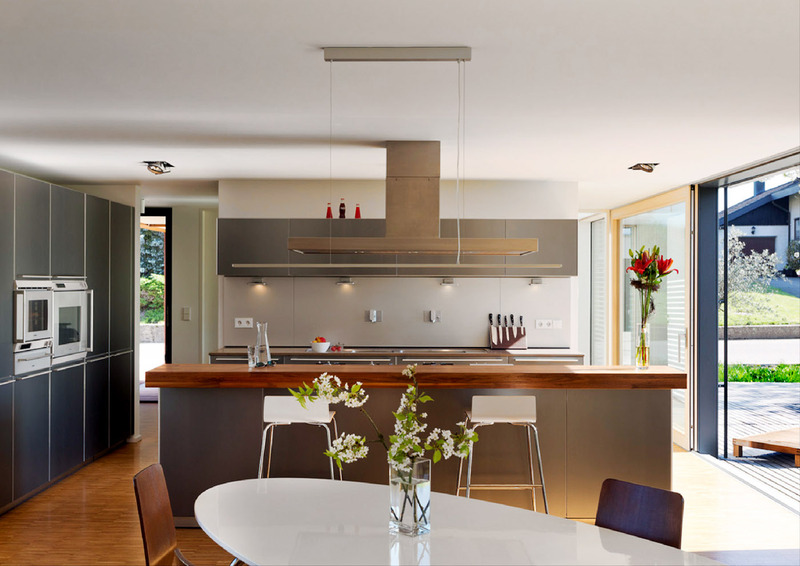 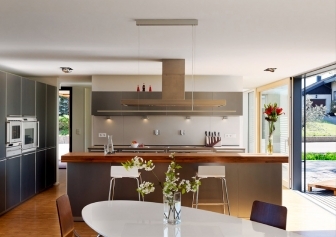 At the heart of the house an ample open plan kitchen forms the family’s central hub. 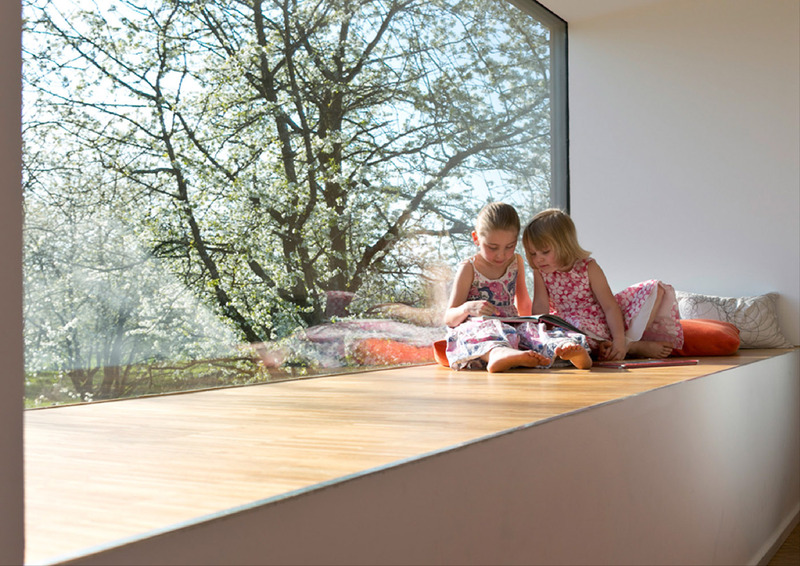 The top floor, including bedrooms, is level with the treetops, evoking the atmosphere of an exclusive tree house retreat. 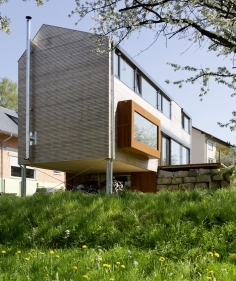 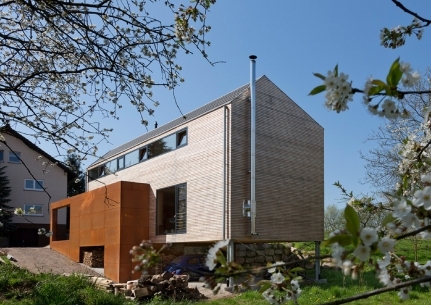 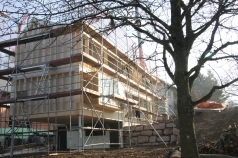 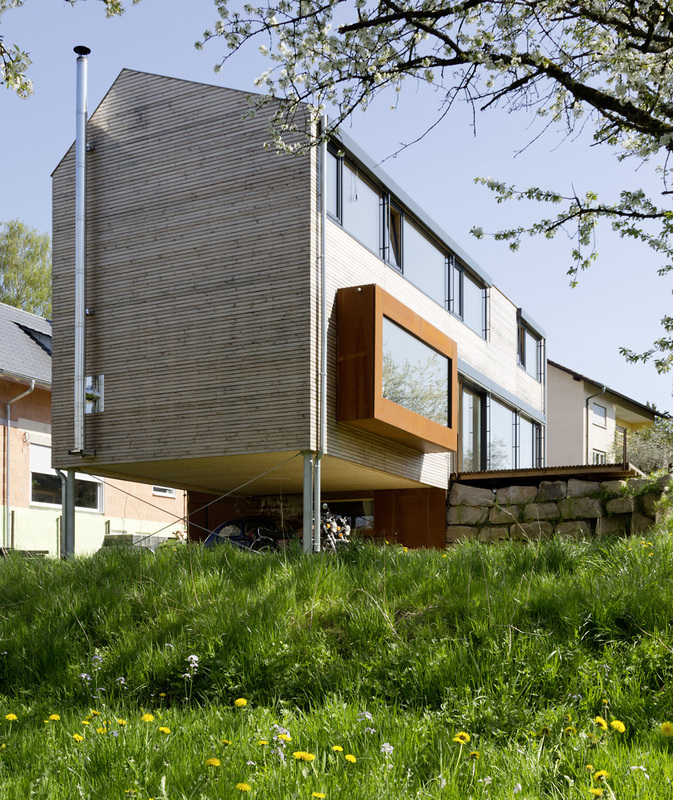 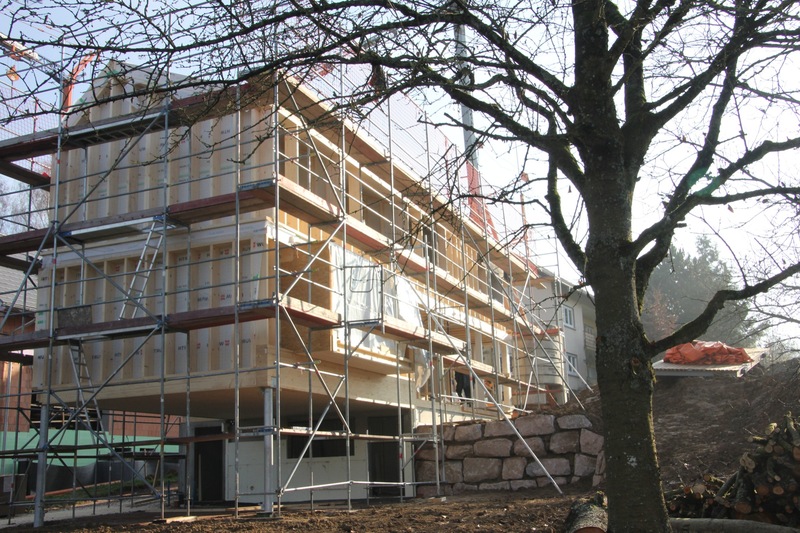 Designed as a low-carbon german Passivhaus, the timber frame construction has been prefabricated off-site and was erected in just a week. 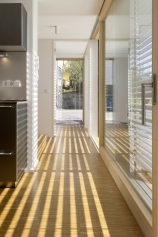 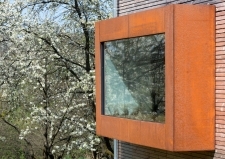 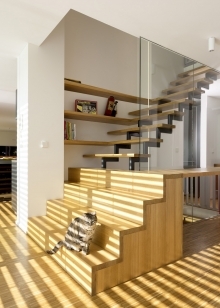 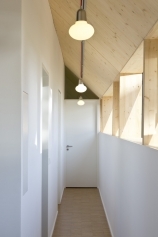 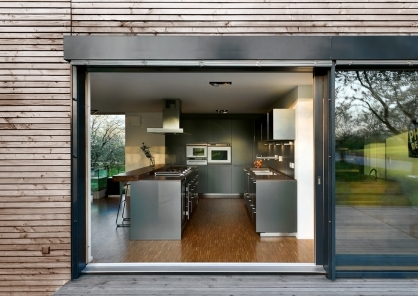 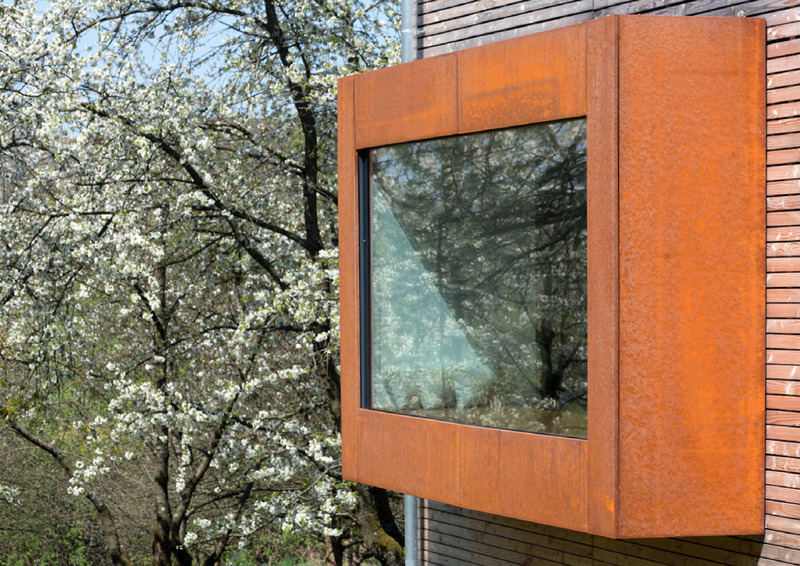 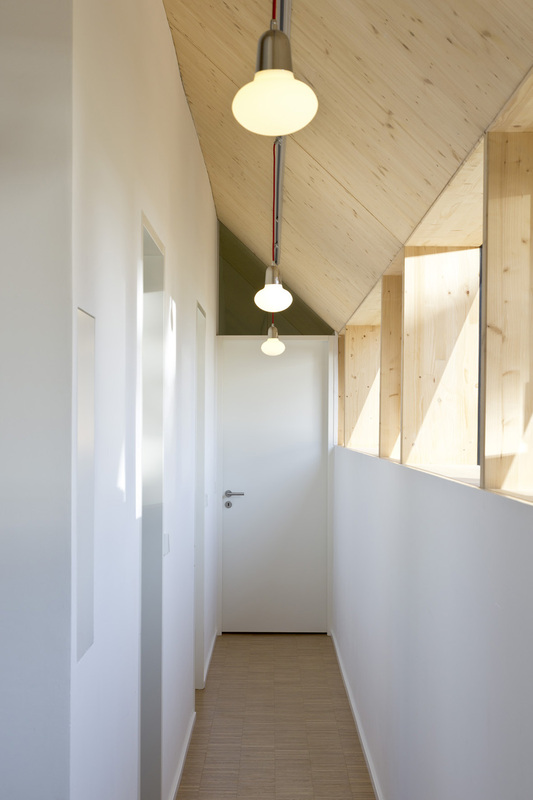 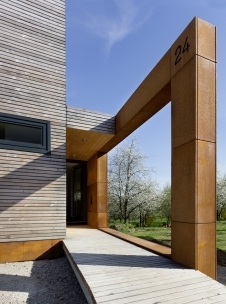 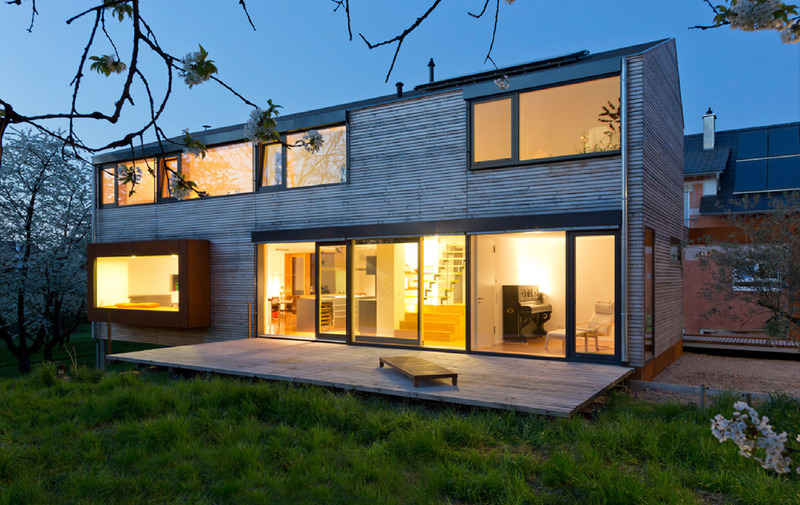 The building is insulated with eco-friendly cellulose and fitted with triple glazing. 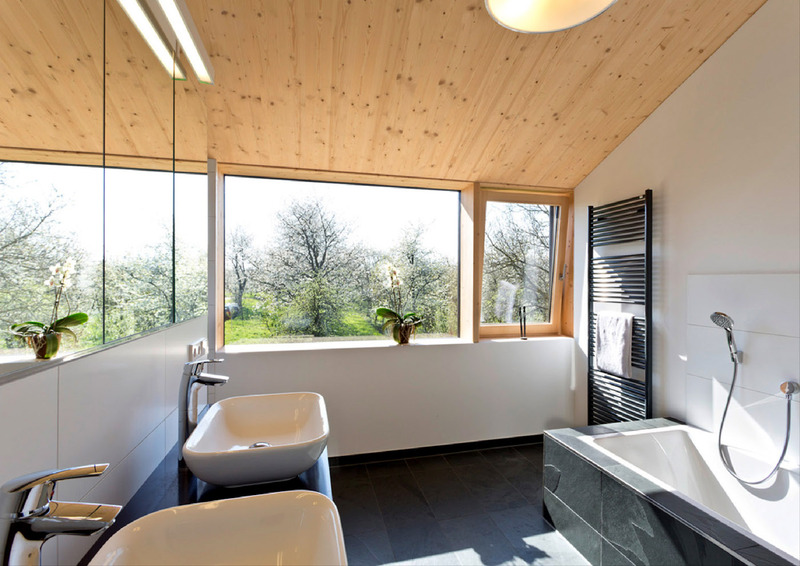 With its roof-integrated solar and photovoltaic system it is also almost entirely energy self-sufficient.